Last minute after checking my Blogger Dashboard - I saw where the next Lawnscaping challenge was up. So - I got busy and wanted to make a card before I turn in for the night. This is the first time I have participated in a challenge where there was a sketch. For some reason, I shy away from those, but thought I should give this one a "whirl". 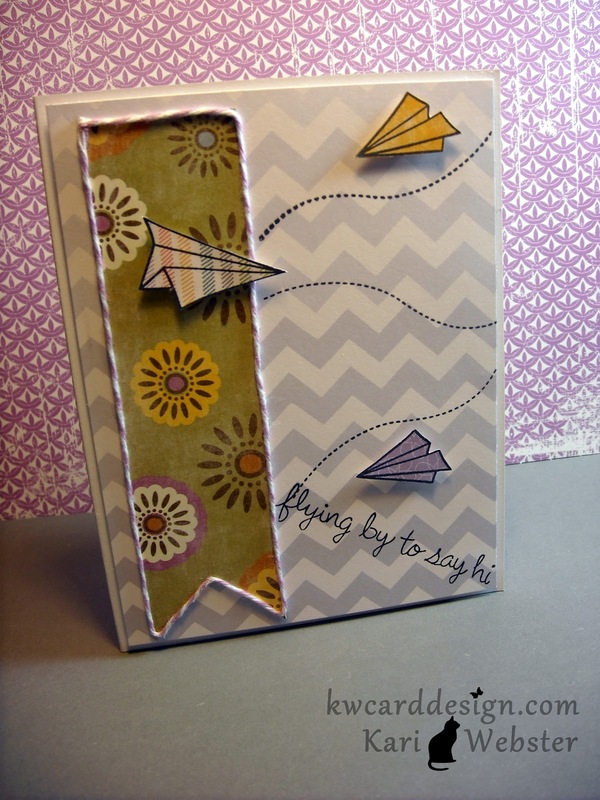 So - using Lawn Fawn's new set Flying By, I created this card using LF's new paper Bright Side, to give my paper airplanes some fun color. This new stamp set is fun - and sure to bring lots of smiles to lots of faces, or to cheer some one up! Thanks for "flying in"!! 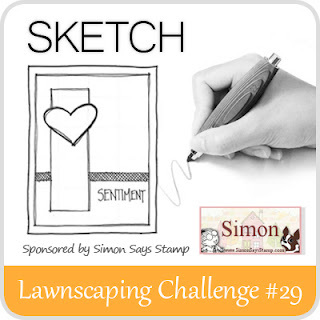 This is a fantastic take on the sketch, and I love seeing the new stamps and paper! Love those paper air planes! So cute! I love those paper pieced airplanes! So cute! I love all those airplanes flying around!!!!!!!!!!! So glad you joined us!!!!! Would you consider removing your word verification? It makes it so hard for us to leave comments with the new format.